We apologize, our audio edition of the newsletter is undergoing development to improve the listening experience. Please bear with us while we work on these improvements. Thank you. An experiment giving Finns a universal basic income suggested the practice would reduce stress and strengthen community cohesion. “Respondents who received a basic income had more trust in other people and in societal institutions – politicians, political parties, police and the courts – than members of the control group,” said a report on the study quoted in Fortune magazine. Though controversial – the BBC spoke to folks who said the taxpayer-funded subsidies didn’t result in more people finding jobs – the experiment showed how Finland is a socially progressive country. But Finland is also where white nationalists recently met for a conference to expand their web of hate internationally, VICE News wrote. Indeed, a nationalist, xenophobic wave has washed over Finland like so many other European countries in recent years, the European Council on Foreign Relations explained. That wave could crest in parliamentary elections scheduled for April 14, when mainstream and far-right parties are expected to duke it out to determine who will lead the country for the next few years. 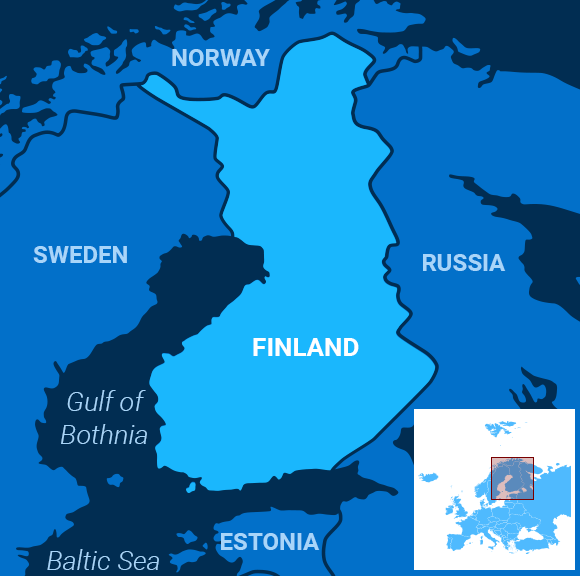 The Euroskeptic, anti-immigrant Finns Party is now garnering support from more than 15 percent of voters, Reuters reported. The party’s fortunes have risen on a tide of anti-immigrant sentiment, recently stoked by well-publicized cases in which foreign men are accused of sexually abusing minors. In 2015, the Finns Party joined a coalition government with the Centre Party of Finland’s current prime minister, Juha Sipila, and the center-right National Coalition Party, but that alliance ended in 2017. Sipila, who resigned in March, is now head of a caretaker government. He quit after admitting defeat in his quest to reform the country’s much-vilified, decentralized healthcare system, Politico reported. His Centre Party and the National Coalition Party could win around 14 percent of the vote apiece, polls said. The opposition Social Democrats are forecast to receive around 20 percent of the vote. The Finns Party isn’t an easy partner. The group recently released a campaign video of a monster threatening a politician, the Canadian Broadcasting Corporation wrote. Four days later, a right-wing extremist tried to attack Foreign Minister Timo Soini, a former Finns Party leader who split from the group to form a separate conservative party, at a campaign rally near Helsinki. Finns Party leaders denied the video was an incitement to violence. Drama over such incidents, Bloomberg suggested, could hamper Finland’s preparedness as it assumes the rotating presidency of the Council of the European Union in July. The presidency – held by a government rather than an individual – is an important job whose agenda will include dealing with the EU’s collective response to what many are already predicting will be chaos over Brexit. It would be ironic if a Euroskeptic Finnish leader helps shape the EU after Britain’s departure. The organizers of Sudan’s months-long protests seeking the ouster of longtime President Omar al-Bashir want their supporters to keep fighting following the military coup that removed him on Thursday. Their goal: A democratically elected civilian government. The Sudanese Professionals Association (SPA) urged protesters to “gather now” and defy a nighttime curfew late Thursday to continue a days-long sit-in outside the army headquarters in the capital, Khartoum, Al Jazeera reported. Al-Bashir was ousted after almost four months of protests that killed dozens of people. The despised dictator had ruled the country for 30 years. Meanwhile, the Associated Press reported that the defense minister who led the move to overthrow Bashir has had his assets blocked by the US Treasury since 2007 for his connections to militias accused of carrying out genocide in the country’s Darfur conflict. Gen. Awad ibn Ouf, who announced two years of rule by a transnational council including the army and security and intelligence agencies in a televised address Thursday, is also a longtime insider in Bashir’s regime. Following Ecuador’s withdrawal of the asylum granted to Julian Assange and his subsequent arrest by authorities in London, it’s unclear whether his case will shed any new light on the important role played by Wikileaks in the Russian efforts to undermine the presidential campaign of Hillary Clinton. The indictment that was unsealed Thursday charging Assange with conspiring to hack into a Pentagon computer in 2010 omits any mention of the Clinton campaign, the New York Times reported. Court documents have shown that Russian intelligence provided Wikileaks with the hacked emails from the Democratic National Committee and the personal account of Clinton campaign chairman John D. Podesta. But publishing stolen emails is not a prosecutable offense, the paper cited legal experts as saying. Meanwhile, many Brits, initially sympathetic to Assange, were not unhappy to see him arrested, the Washington Times reported. He had become that ultimate no-no in British culture — the bad guest, smug and self-important, according to his hosts. The decision sparked celebrations by pro-choice campaigners in Seoul, the UK’s Guardian newspaper reported, noting a recent survey that found 75 percent of women aged 15 to 44 believed the law should be amended. South Korea banned abortions with only a few exceptions more than 60 years ago and is one of only a handful of developed countries where it remains a criminal offense. Under the current law, doctors who perform the procedure face up to two years in prison, while women who undergo abortions can be sentenced to a year behind bars or fined as much as 2 million won (about $1800). Following the nine-member panel’s 7-2 ruling that the law is unconstitutional, the national assembly must revise it by the end of next year. The court recommended that the new law allow early-stage abortions under certain circumstances and eliminate criminal penalties for doctors who carry out the procedure. Scottish woman Jo Cameron is a medical marvel. It was only after a hand operation five years ago that she discovered that her ability to live a painless and anxiety-free life results from a genetic mutation, Science Alert reported. Genetic researchers wrote in their study that Cameron, who’s now 71, had double the usual amount of a chemical called anandamide in her system. Anandamide acts as a strong buffer to pain and anxiety. It’s broken down by a gene called FAAH, but the researchers found that gene was completely disabled in Cameron, allowing her to feel no pain or stress, and for her injuries to heal faster. While the prospect of a painless and stress-free existence is appealing, scientists argue that pain actually serves a protective purpose that benefits human survival and well-being. Researchers hope that Cameron’s genes can teach more about treating pain and anxiety in the future. “I would be elated if any research into my own genetics could help other people who are suffering,” said Cameron.